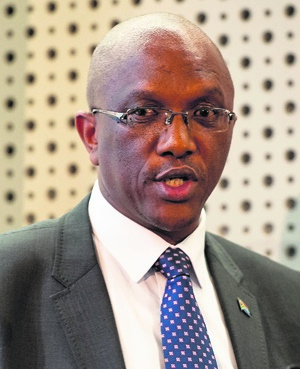 Cape Town – Auditor General Kimi Makwetu gave a frank account of the North West provincial government's financial state when he briefed Parliament's ad hoc committee and select committee on finance about the province's audit outcomes, as well as its departments and entities. Briefing Parliament on Wednesday, he said none of the province’s departments or agencies got a clean audit in recent years. He lamented the lack of consequence management in instances of irregular expenditure. Officials from the North West provincial government admitted that governance was so hampered that it warranted national executive authority intervention. The North West government has a budget of R39.6bn with an under-spend of R834m. Government has since implemented an intervention into the North West provincial government in terms of Section 100 of the Constitution. Section 100 of the Constitution allows the national executive to intervene in the provincial sphere of government if it has been established that the provincial authority cannot fulfill its constitutional obligations. In the latest audit outcomes, 59% of entities under the provincial government got a qualified audit opinion from the Auditor General. Makwetu said: "What we are seeing is a picture of what happens when the finances of the auditee are healthy, but there are critical areas where it needs intervention. "It can’t be said that the province or any of its departments got a clean audit in the 2016-17 financial year." Makwetu added that various entities under the North West provincial government could not account for spending in the area of supply chain management. The office of the premier also could not account for contracts and payments related to commitments, accruals or goods and services. Among other things, the office of the premier entered into various contracts to upgrade and modernise the province's ICT infrastructure, committing to pay NEPO Data Dynamics R376m in the process. In March 2017 the department paid R110m, but the office could not present documented evidence that it extracted that value in service from the company. The provincial public works department has spent R17m on upgrading a road from Mahikeng to Lichtenburg in a project with a budget of R456.9m. The completion date is 30 December. The provincial health department initiated a project to develop the Bophelong Psychiatric Hospital at an estimated cost of R447m, but the completion date for the project was repeatedly postponed since the department changed contractors, and the completion date now stands at May 2019. North West Premier Tebogo Mokgoro admitted to the committee that in the financial year as at 30 March 2018, North West provincial government departments were meeting just 61% of their targets as outlined in annual performance plans.